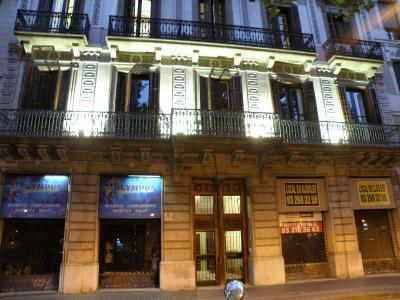 Lock in a great price for Hotel Center Gran Via – rated 8.8 by recent guests! I was a little surprised it was just a room/bathroom right on the side of the reception area, but there was no noise at all as a result of this proximity. I liked the availability of coffee and tea, and the access to a refrigerator. 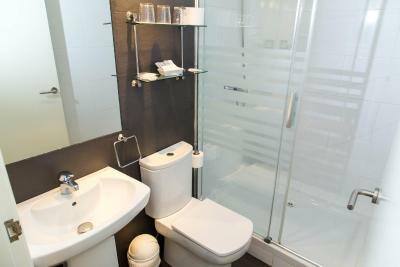 The rooms were perfectly clean and modern and the bathroom was plenty roomy with a fantastic shower. 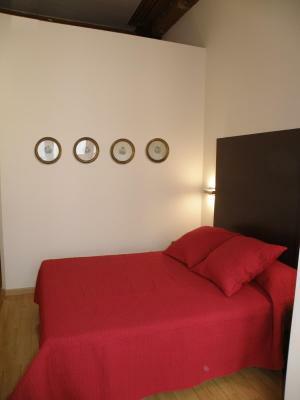 Good location, very close to Universitat metro station. The bus stop for taking airport bus is about 10-15 walking distance. The staffs are nice and friendly. One of the staffs gave me a map and showed me the location of the main attractions in the city. She also told me where to find the nice food with reasonable price. 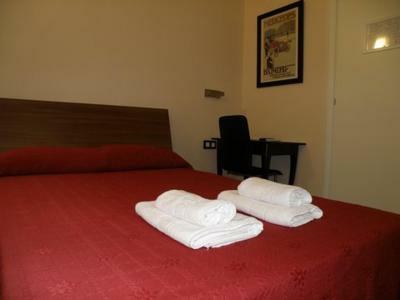 The hotel is in a great location, close to a lot of transports and nice places. Everything was also in very good conditions and very clean. The staff was also very helpful and provided a lot of information. Staff was very friendly and everything was clean. 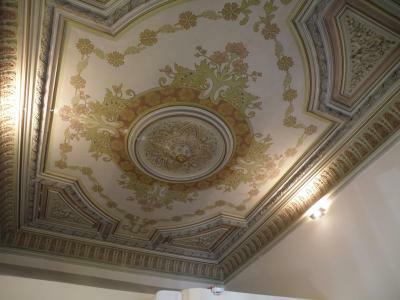 Excellent location, near restaurants, sights and a metro stop to the entire city. Friendly staff. The staff, especially Elvira were v.helpfull and friendly. The staff is amazing! If you have any questions or needs during your stay, simply go and talk to the person working at the front desk! 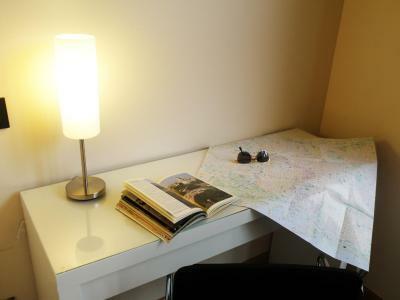 They are very knowledgeable about the area, the tourist destinations within the city, and where to find anything you might be looking for. 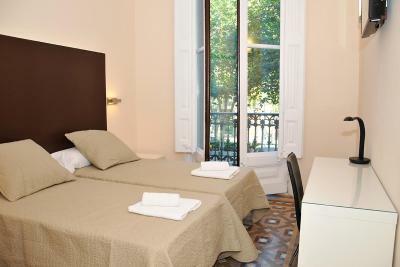 The location of the hotel is also amazing, since it is right by the Universitat metro stop. 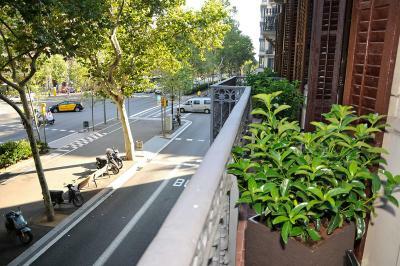 We found it very convenient to walk to the Placa Catalunya and buy water/snacks at El Corte Ingles and the hotel provided a basket to keep in the communal fridge to keep drinks cold. 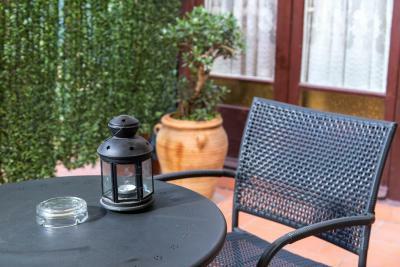 We also had a small terrace off of our room which was a great place to sit and have a drink with my partner, who I was traveling with. Staff was quick to respond to our room issue (our bathroom started smelling bad after a heavy rain hit our second or third day there). Overall we really loved our stay here. The hotel just 5 min. 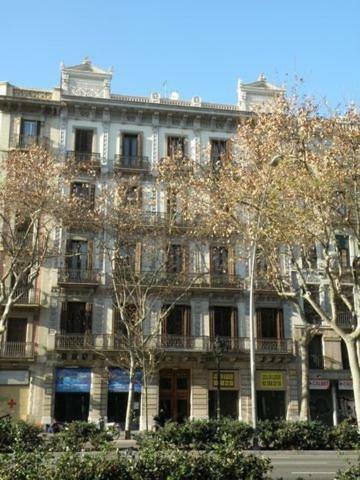 from Plaça de Catalunya and La Rambla street, you can reach easily from the airport by the Aerobus. 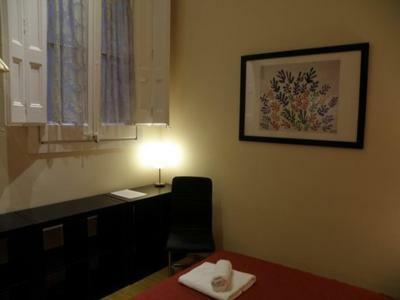 Staff are so supportive and helpful as they tried to make your stay in Barcelona be wonderful and enjoyable by informing you about the city sightseeing and how to use the public transportation. Room cleaned well and comfortable. Will be repeated again soon. great great location. 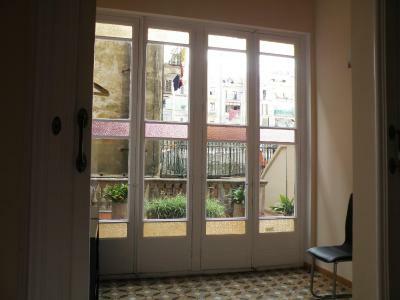 2 minutes to bus and metro, 5-6 minutes walk to La Rambla. 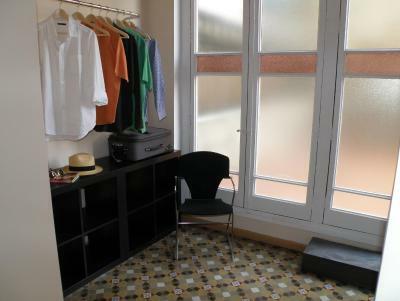 easy to access to the facilities even after the check in time. helpfull staff. room is in the right size. very nice building. safe, cozy and silent. 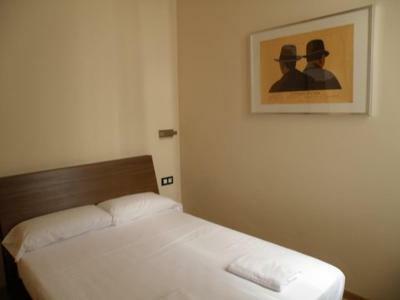 Hotel Center Gran Via This rating is a reflection of how the property compares to the industry standard when it comes to price, facilities and services available. It's based on a self-evaluation by the property. Use this rating to help choose your stay! 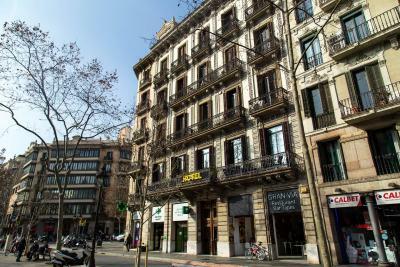 One of our top picks in Barcelona.Right next to Barcelona University on Gran Vía, Hotel Center Gran Via offers modern rooms in the center of Barcelona. 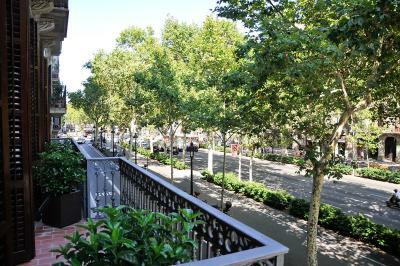 It is within a 5 minute walk of Plaza de Catalunya, Las Ramblas and Passeig de Gràcia. In a beautiful Modernist building, Hotel Center Gran Via features French balconies and high, painted ceilings. 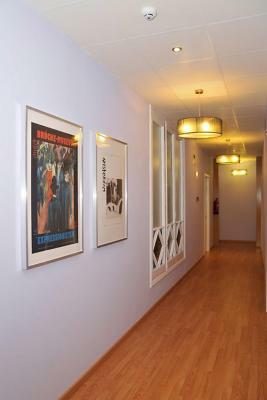 The rooms offer simple, contemporary décor. 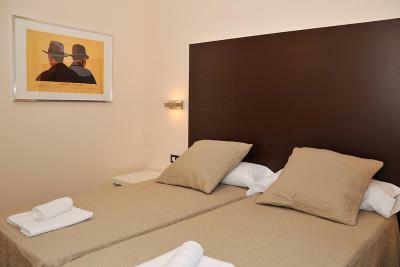 Each room has air conditioning, free Wi-Fi and flat-screen satellite TV. Some rooms have a balcony or a terrace. 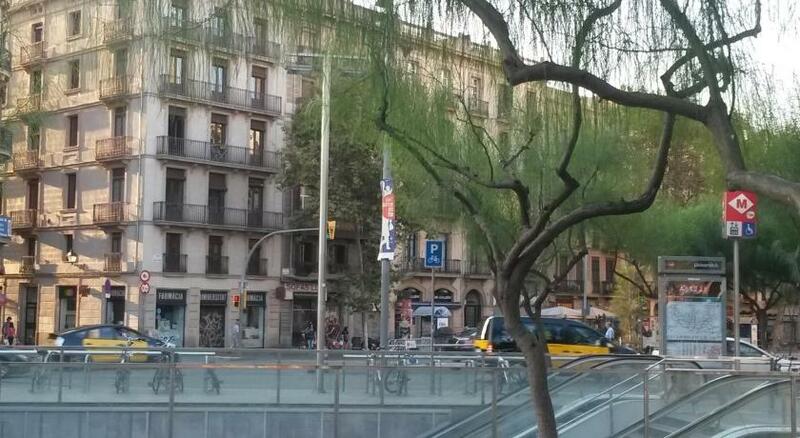 Universitat Metro station is 300 feet from the hotel and the famous Sagrada Família is just 5 stops from here. 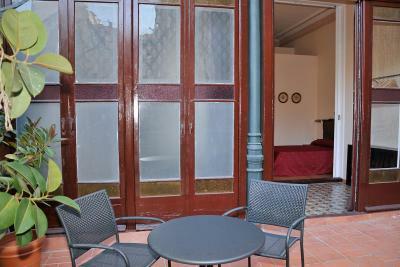 The Gaudí houses, the Gothic Quarter and Born district can all be reached in 20 minutes by foot. 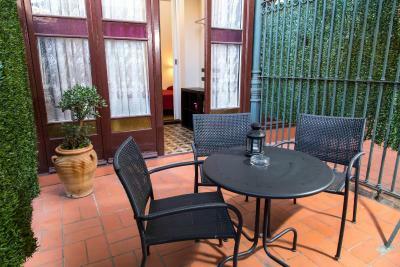 The airport bus stops 300 feet away and Catalunya Railroad and Metro Station is less than a 10 minute walk from the Gran Via. 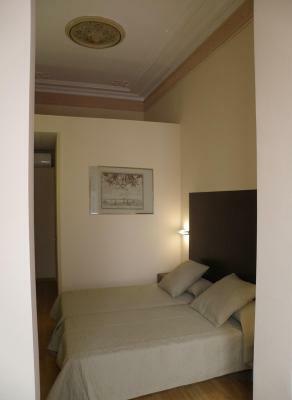 When would you like to stay at Hotel Center Gran Via? This interior-facing room has simple, contemporary décor and overlooks an interior patio. 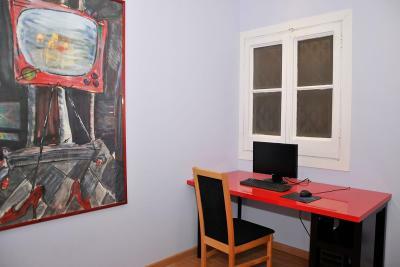 It has air conditioning, free Wi-Fi and flat-screen satellite TV. 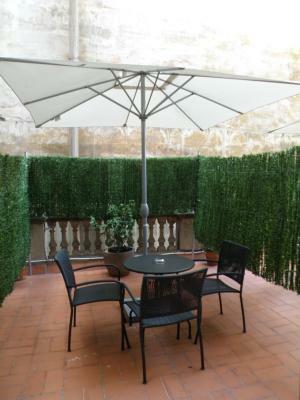 This room has simple, contemporary décor and features a terrace, which overlooks the surrounding buildings. 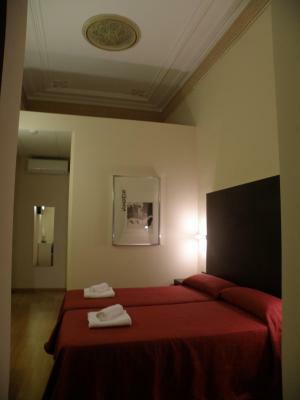 It has air conditioning, free Wi-Fi and flat-screen satellite TV. 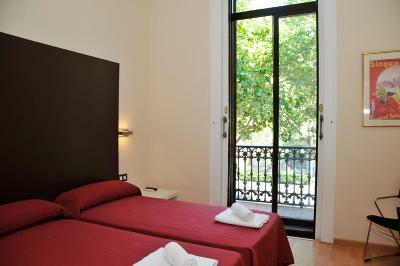 This room has simple, contemporary décor and features a balcony, which overlooks Gran Vía Avenue. 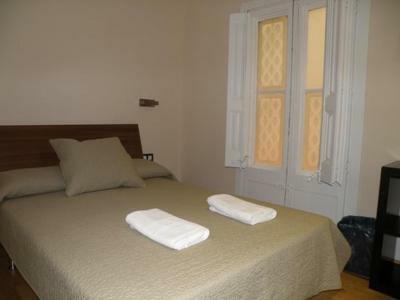 It has air conditioning, free Wi-Fi and flat-screen satellite TV. 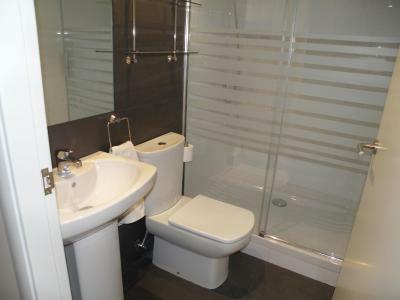 This room has simple, contemporary décor and features a private interior terrace. 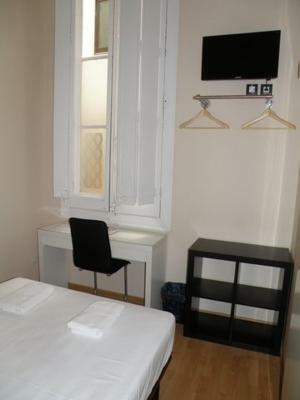 It has air conditioning, free Wi-Fi and flat-screen satellite TV. 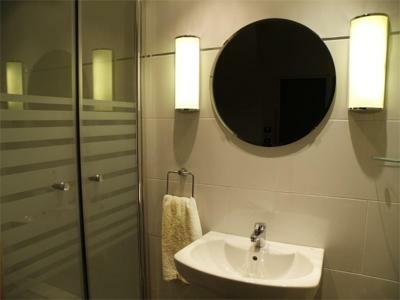 House Rules Hotel Center Gran Via takes special requests – add in the next step! Hotel Center Gran Via accepts these cards and reserves the right to temporarily hold an amount prior to arrival. The only gripe I had was that the staff kept pulling out a map and thinking I could tell where they were telling me to go by using the map that was so monstrous that there were no details on it. The hotel does not have 24-hour reception. The reception hours are 09:30 to 13:30hrs and 19:00 to 24:00hrs. There is no reception during 13:30 to 19:00, and no one opened the door for me when I arrived. Luckily, I checked my email mailbox and I found the email sent by the hotel 3 days ago with the entry codes. Luckily I had the data roaming with my handphone! Otherwise, I would not know what to do. It is alright that the hotel does not have 24-hour reception, but this information should be CLEARLY STATED on the website (i.e. booking.com), so that when I book the hotel room, I would be aware of this. Otherwise, this is totally a surprise for me at the moment I arrived at the door. There are lockers for keeping luggage for those who check out earlier, but the lockers are not big enough and I almost could not squeeze my 28-inch suitcase into the locker. Silly thing but the door numbers are huge, yet are still partly hidden when the doors are shut. Breakfast is not part of their package, but they do lay on facilities to make drinks etc. 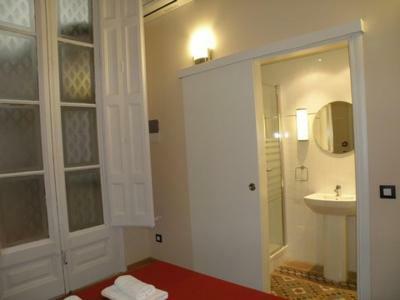 The hotel is like the AIR B&B room with a separate room and bathroom. I could hear TV sound and conversation from other rooms. 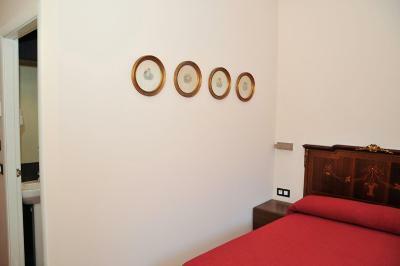 They were super kind and the room was very clean and well maintained. I liked the terrace a lot. 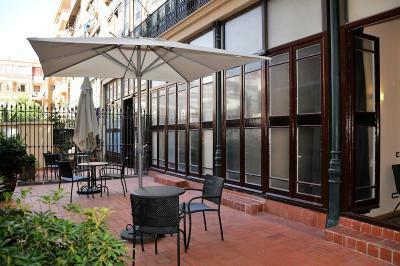 The location is very good and easy to go anywhere in barcelona. Isolation of the rooms need to be renewed. Location is good. Staff is good. All the staff at reception are very friendly and willing to help! And the location is very good! 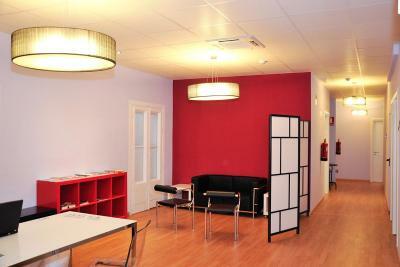 The staff is very kind and offers us many helpful info about tour in Barcelona! The receptionists were really nice and helpful. 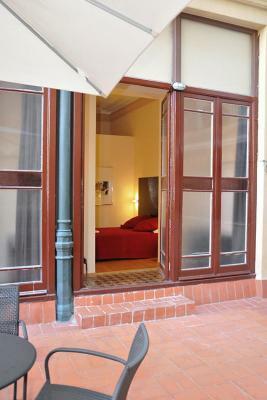 My room was perfect because I wasn’t near the street so I didn’t hear any traffic nor people in the street. It’s noised room as near closed the street at night. The rooms were not very well isolated from other sounds within the hotel (but that was not the case for street noise, at least where I was). Being in the room closest to the entry of the hotel also did not help.